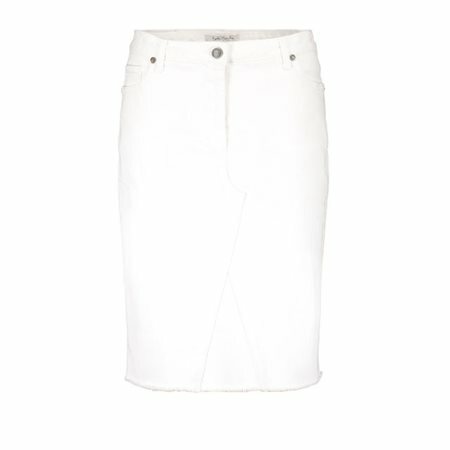 Be a style queen in this trendy cream denim skirt by Betty Barclay. A wardrobe staple that never goes out of fashion a denim skirt is a great choice for the warmer weather, this one sits on the knee and has front and side pockets. Simply tan those legs and get ready for the summer!